Synopsis: One month earlier, (presumably from the current timeline) Hina gets sent an invite from (allegedly) Hakuo’s sister school to deliver a speech in Australia. The letter comes with a business class airplane ticket especially for her. As the ticket is super-expensive, it’s an offer she can’t really refuse. She finds herself all jittery and nervous in the waiting lounge of the airport while munching on what she says is some “strange food” and coffee, while wondering whether this will be her last meal. To add to this, a little boy and his father notice her and the brat starts laughing at her and talking her down for being so scared when there’s a 0.001% odds of the plane breaking down. True to her, “I hate to lose” persona, Hina glares at the brat and imagines scaring him out of his pants, but doesn’t actually follow through with it. Troll father and son duo. Before long, it’s boarding time and Hina gets seat 5A, which is right by a window. She fidgets around a bit pondering on whether it would be better to pull down the shade or not. While she’s doing this, it’s already takeoff time. 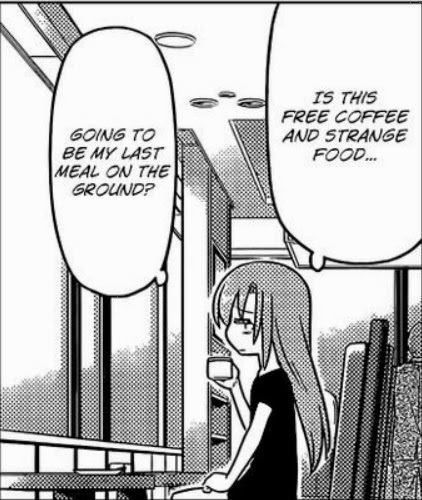 Being acrophobic, she really thinks that she might die on this trip and starts muttering that she’d confess to Hayate if she makes it back alive. The takeoff goes pretty smoothly and she’s soon ready to just lay back and sleep off the rest of the nearly 10-hour trip to Sydney, but once again, fate conspires against her via a flight stewardess serving meals. Suddenly, the plane goes through some turbulence and this totally shakes her up, but she decides to try to sleep it off… unfortunately, the plane is shaking too much for her to fall asleep. From out of nowhere, Aika appears and offers to hold her hand. When Hina asks why she’s there, she nonchalantly responds that it’s because she’s the vice president. It seems she’d been watching Hina for some time and saw everything from her glaring at the little brat to her mutterings about Hayate. The chapter ends here. Review: First of all… beach chapter effing where!???? 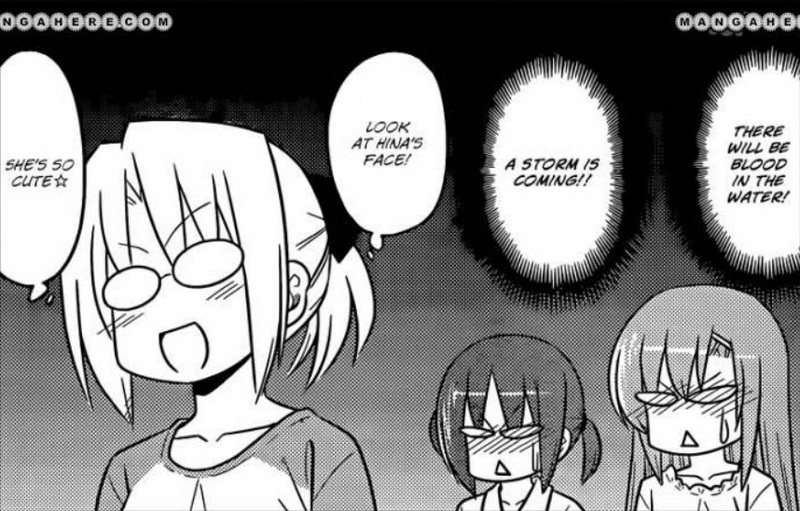 With that out of the way, this was a pretty funny chapter which consisted mostly of fate conspiring to troll Hina (fate is also known as Kenjiro Hata, by the way). She should've actually done this... little brat deserved it. Not much to say about this chapter except that I’m a bit confused as to when this actually takes place and whether or not it will be significant to the plot. It seems the actual receipt of the ticket took place inside Hakuo academy a month earlier, but it’s not clear whether this was a month before Hina’s plane trip or a month before the current timeline wherein everyone is set for a beach trip. If you ask me, I’d say this event – including the plane trip, is set a month before the current beach trip timeline. The other interesting thing is that Aika suddenly popped up – which could mean that even this seemingly out of the way event could be related to the King’s Jewels given Aika’s connection with Mikado, or it could just be a random one-shot event that will probably be concluded next chapter. I felt like this was a bit of a break from the main plot, but then again, I could be wrong. I guess we’ll find out pretty soon. 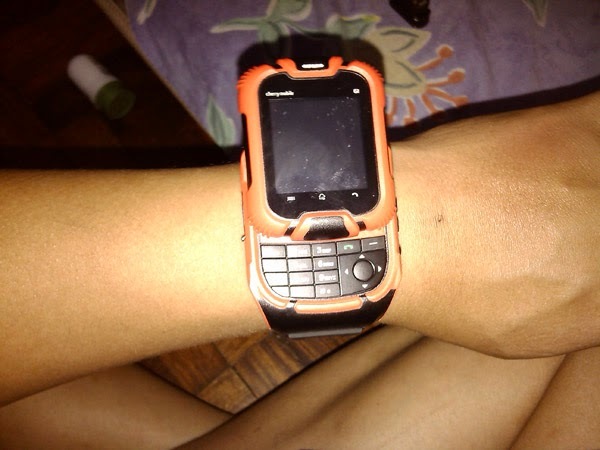 Just bought this new watch which also doubles as a phone, or if you prefer, a phone which doubles as a watch, from Cherry Mobile. In any case, it’s appropriately named the G1 Watch Phone – which is exactly what it is. 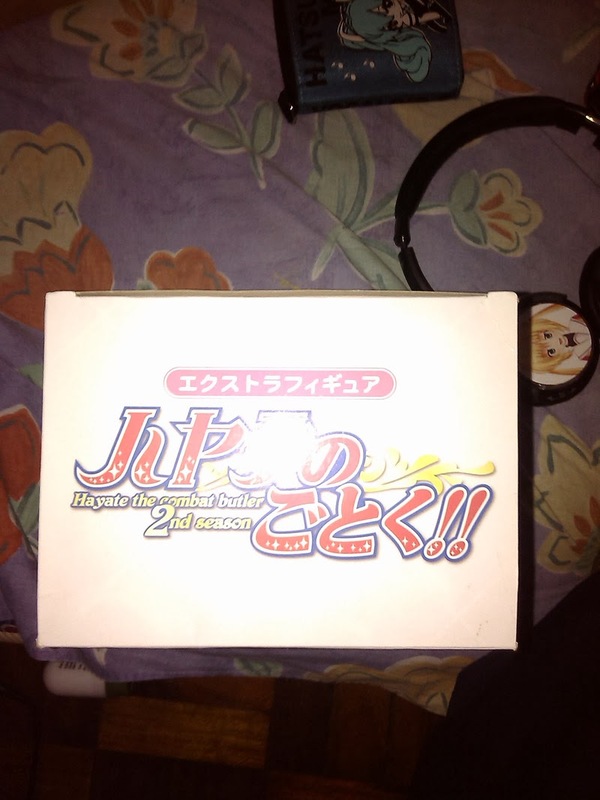 Front of the box. Nothing special, really. How the G1 looks when worn. It comes in several colors including red, light-blue, purple, yellow, and violet. As you can see here, I chose the red one specifically so I can make like an effin power ranger. The unit is fairly comfy on my wrist. It has a very soft rubber strap and the body of the watch phone itself is made of hard plastic. It has a resistive touch-screen along with a slide-to-open keypad. 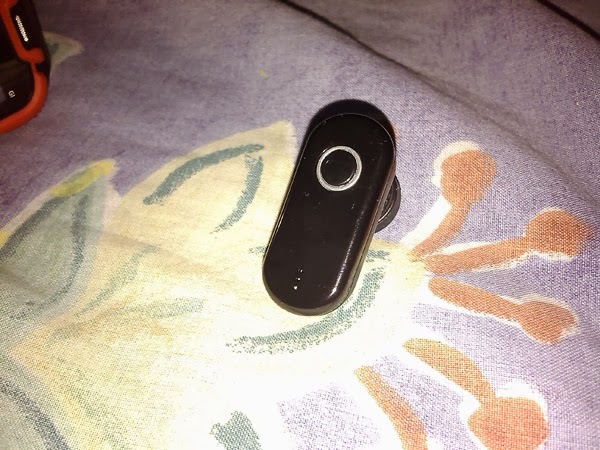 It also comes with Bluetooth functionality and is bundled with a Bluetooth earpiece for this purpose. The bluetooth headset is a D66 unit that pairs easily with the watch - although I'm currently using it more for my PS Vita. The volume of the audio is a bit on the quiet side. The side of the unit where the USB charging port is located. If you bought this watch expecting it to function like a smartwatch, then prepare to be sorely disappointed, son. 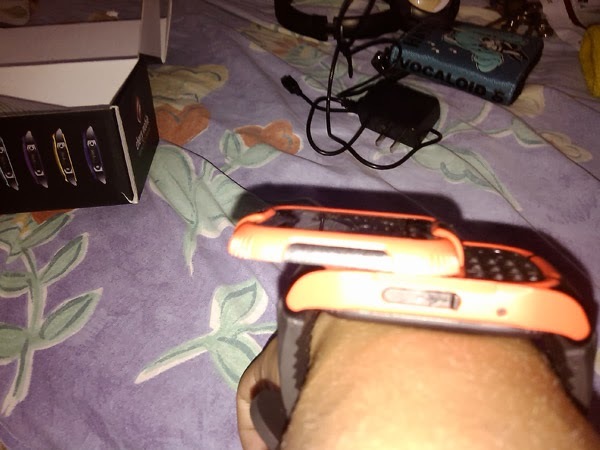 If you just want to use it as either a watch or a stand-alone phone, then you’re good to go. 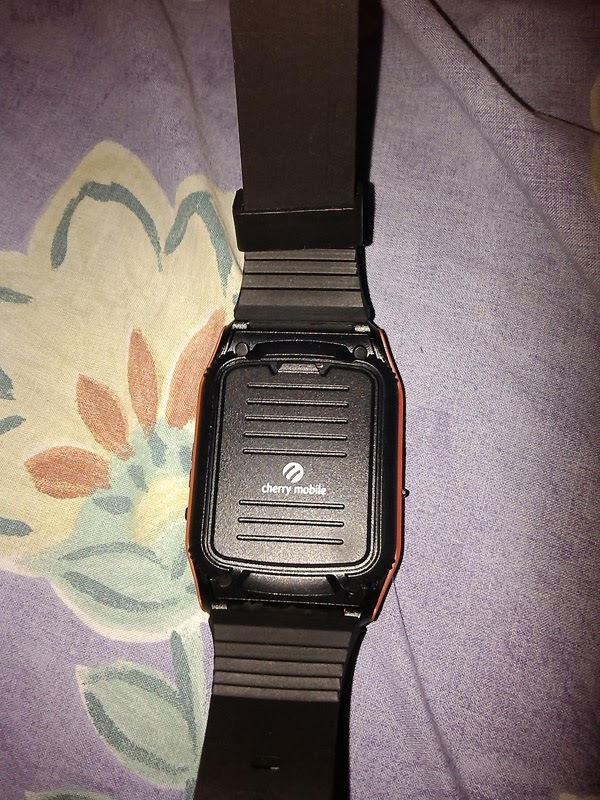 Personally, I just plan to use it like a normal watch, although I did insert one of my sim cards into the unit for occasional texting and perhaps even making calls via bluetooth. Surprisingly, this thing actually comes with a camera. The box says it’s VGA – which should be around 640x480 pixels, but I highly doubt this watch can handle that much considering its size. Some reviews say that the G1 looks like a kid’s toy – which it does, but that’s not really a bad thing. It’s an awful nice looking toy after all. Even more surprising is that they managed to cram two games into this thing – specifically, Sokoban and Tetris. I don’t care much for Sokoban, but I love Tetris. Unfortunately, the Tetris game included in this unit is very basic. No T-spins, dual rotates, piece holding, or any of the mechanics from the modern Tetris games… and no music either. 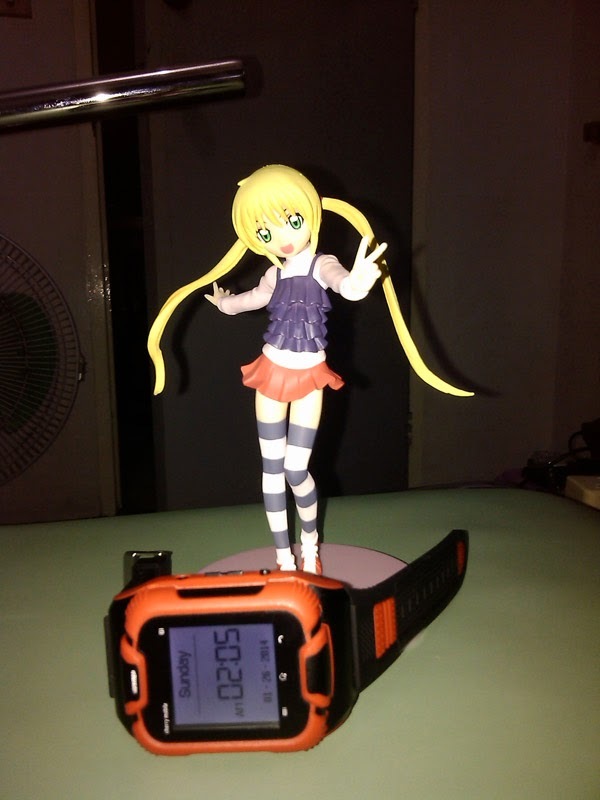 Of course, I didn’t really expect too much given that this was just an extra functionality added to the watch phone. Furthermore, you’d need really tiny hands in order to play games effectively on this thing. The G1 can take up to two sim cards at once – which is awesome. For texting, the keypad does the job as well as could be expected. The sliding keypad has the same level of response that I’d expect from some of those China TV phones – which is not that good, but not too bad either. Incidentally, I believe that this thing uses the same proprietary OS that those China TV Phones use. The G1 is definitely not running on Android if you were hoping for that much. Most people will probably try to use their thumbs to operate the keypad – which is not a very wise idea given the size of the keypad. Personally, I just use my index finger and have had no troubles so far. You’ll never be able to text super-fast the way you would on a full-sized phone, but you won’t feel like you’re texting that slowly either. 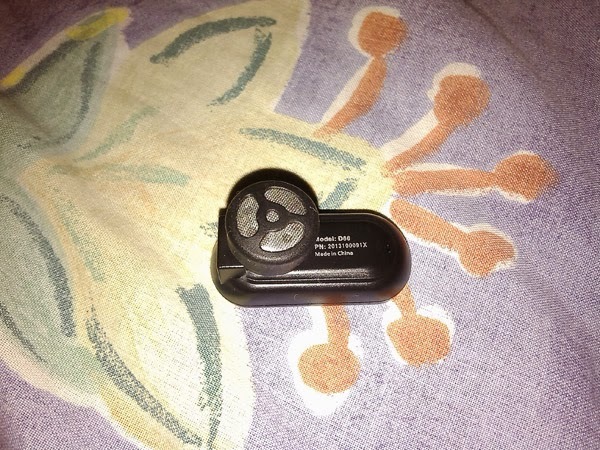 Long press the button on the earpiece until the blue light comes on and isn't blinking to turn it on. 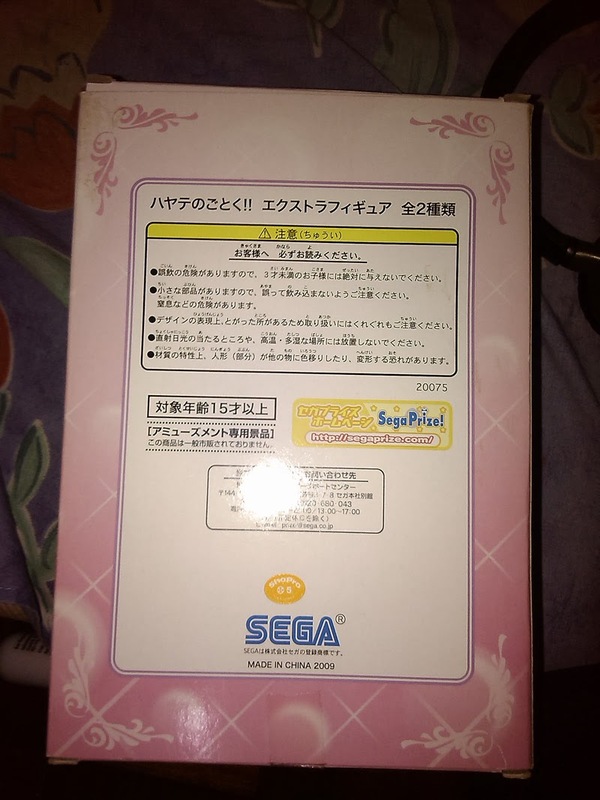 Apparently, the unit also comes with a radio functionality, but it requires that you plug in a headset for it to work… and as the G1 doesn’t come with a standard audio port, then there’s really no way to use the radio. It also comes with a speaker at the front – which is really nothing to speak of. Using the Bluetooth earpiece is the only way you’ll ever hear anything out of this watch unless you’re in a library or something. The other side of the unit with the volume control buttons, power button as well as the camera. The battery life kind of concerned me at first considering that the unit has a lot more to do than a normal watch. Right now, it’s been functioning for more than 24 hours with Bluetooth on and one sim card inserted and it’s only lost one bar out of four… so that’s not too shabby, I’d say. 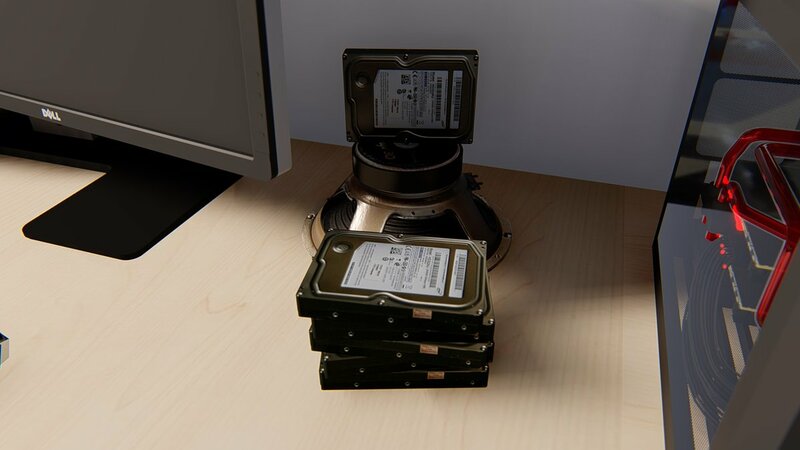 The unit comes with a standard USB charging port and can be plugged into your computer to act as a USB mass storage device. The USB port is recessed, so you’ll need a longer cable than usual. Fortunately, my Cherry Mobile Flare’s USB cable works great with it. Unfortunately however, the G1 doesn’t come with any form of internal storage, so you’ll need to insert a microSD card into the unit if you want to use it for playing mp3s or if you actually plan to use its built-in camera. I don’t plan to do either of those, so I don’t care either way. 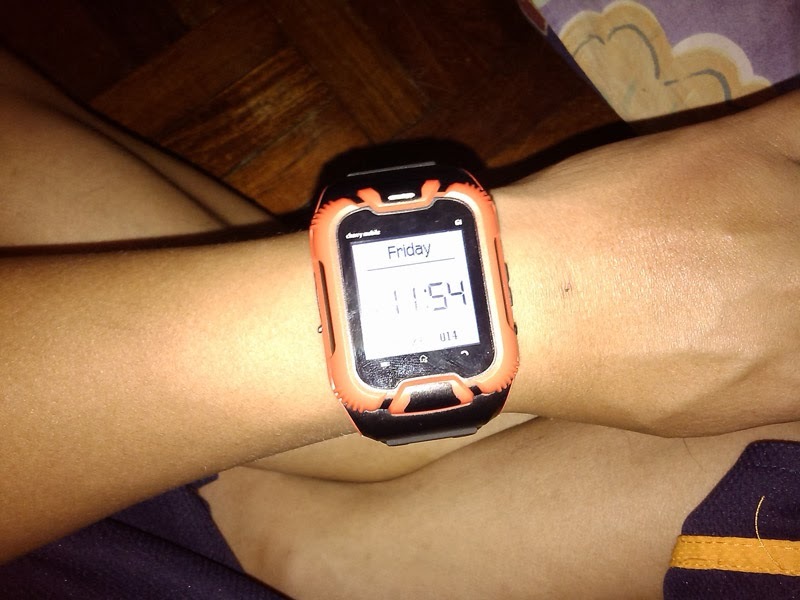 I had always planned to primarily use this unit as nothing more than a fancy wristwatch, but unfortunately, it doesn’t do too well in this department. First of all, you need to press the power button located at the side of the phone in order to display the date and time – just like you would on a normal cell phone. Secondly, I like my watches to be nice and precise up to the last second and there’s really no way to do this on the G1 because it only allows you to adjust the hours and minutes, but not the seconds. It also doesn’t display the seconds at all, which is another point against the G1 for me. Finally, the phone has no degree of water resistance at all. 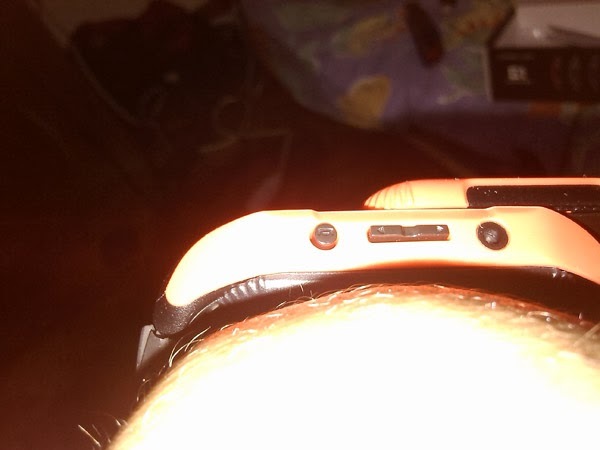 Even the back of the unit that’s touching your wrist isn’t sealed against sweat, so you won’t be using this unit much for your fun runs – unless you want to ruin your G1 real fast. 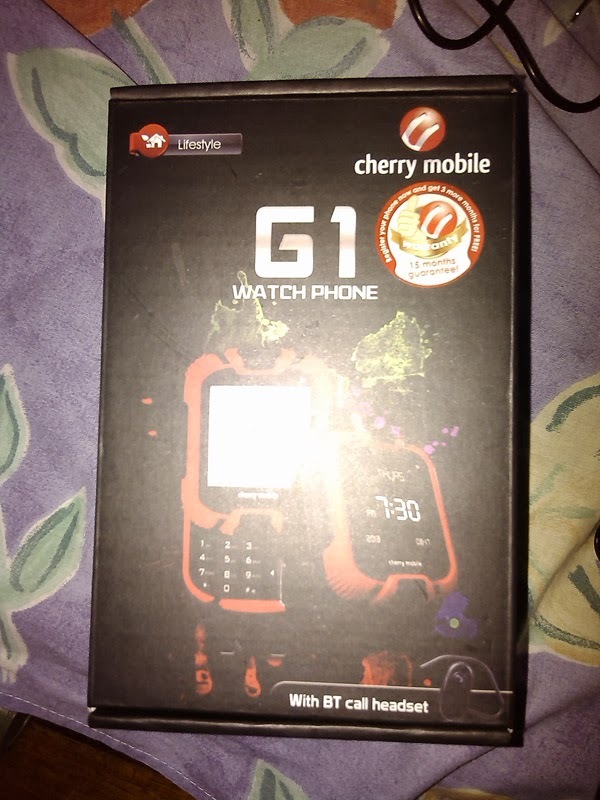 So there you have it, the Cherry Mobile G1 Watch Phone; a nice little hybrid gadget for you enthusiasts out there, and one that’s quite reasonably priced considering its features. 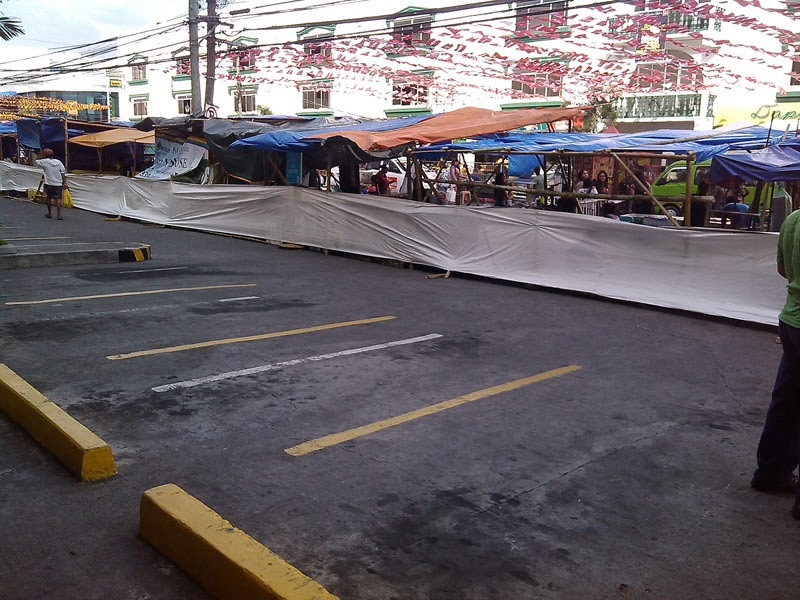 So today was the day before the official Dinagyang celebrations, an annual event here with pseudo-religious overtones, but which is mostly just another excuse for people to have fun while dressing up as natives and indulging in food, drink, and good conversation with friends as well as family etc. 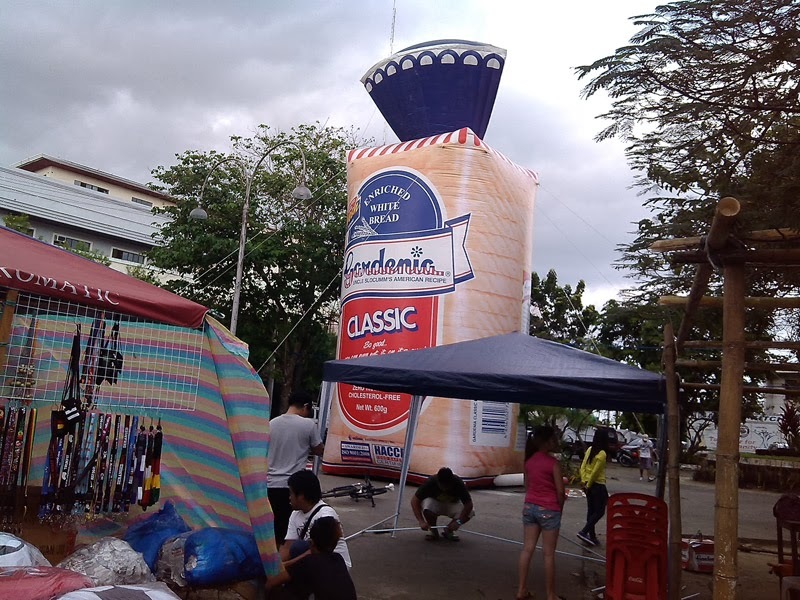 Y’know the usual festival stuff that you see in Japanese anime/video games? This is our version of em, but that’s not important. 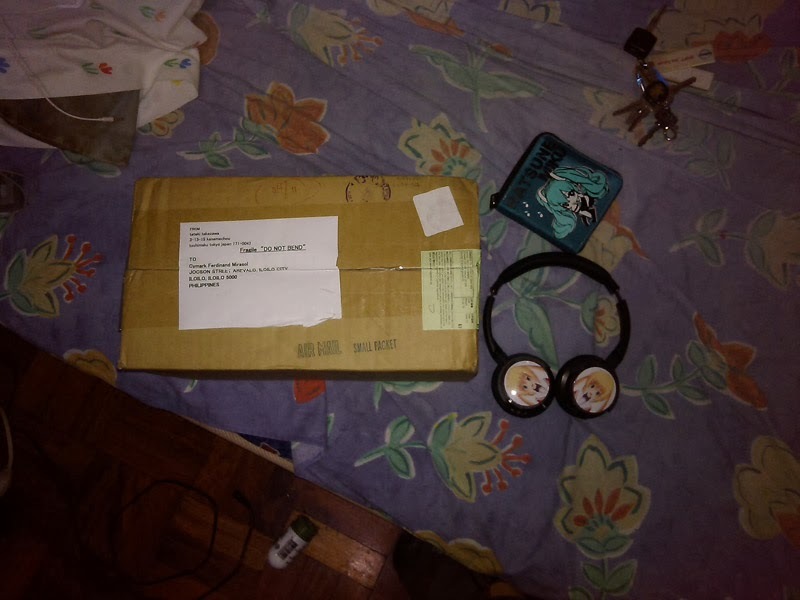 What is more important is that I saw this slip in our mailbox for a parcel that was just delivered last January 20 with my name on it… and the post office wouldn’t deliver, so I had to go and claim it myself at their building. 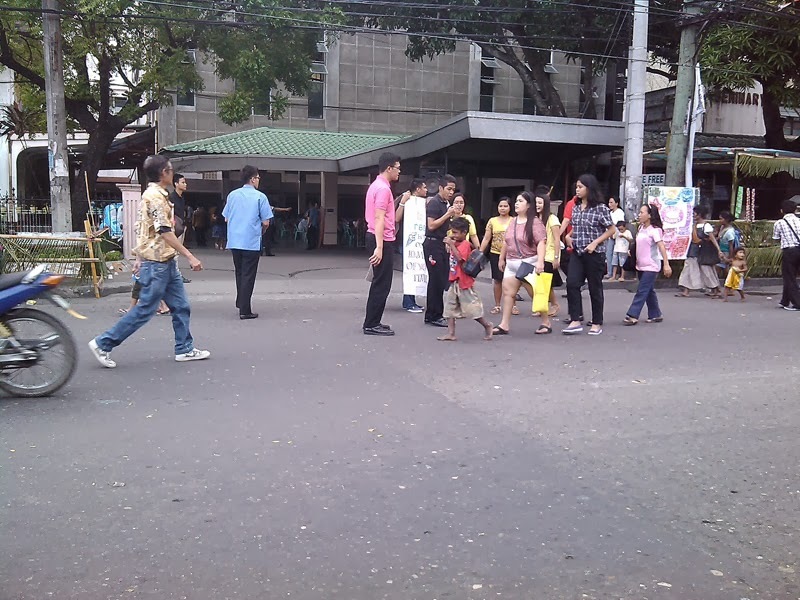 Okay, here’s the thing, if you’re familiar with Iloilo City (which you are probably not if you are reading this blog – lol~! ), then you’d know that the post office is located right at the center of where all the festival and pre-festival celebrations are being held. What this means is that all the roads are closed there and it’s crawling with people, food stalls, cellphone stalls, cable TV subscription stalls, concert stages and other stalls selling assorted goods like headdresses, sunglasses and even those funky stuffed toy hat things… also, the post office closes at 5:00 P.M. and it was already around 3:40 PM when I checked the mailbox. Well, hello there, Ojou-sama! 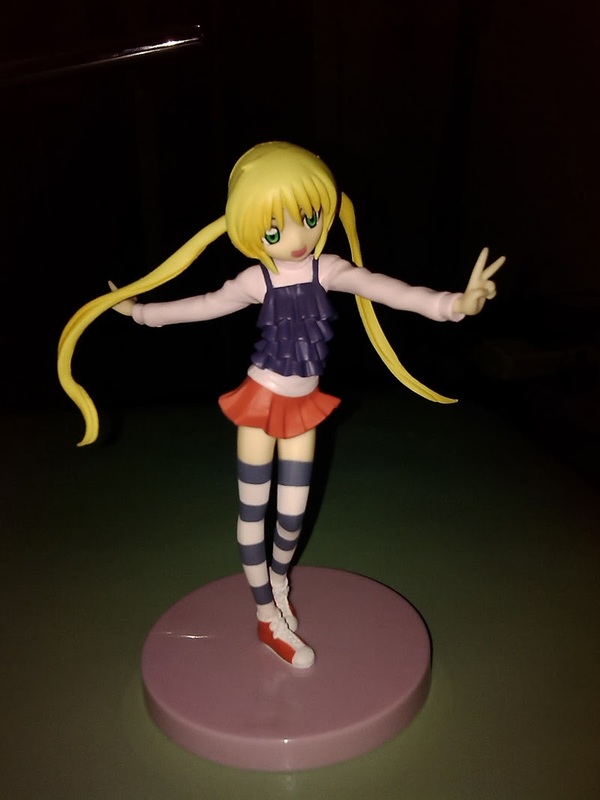 I just ordered this figure from a Japanese seller via Ebay Philippines just to test the waters and see how long it takes for imported goods to arrive here and to see if customs would impose any additional taxes on it. They didn’t. 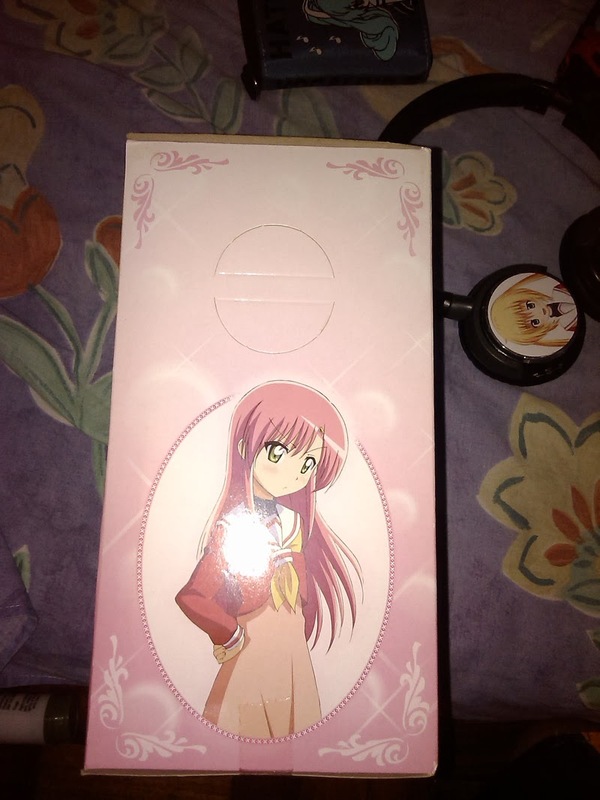 I ordered the figure on January 6 and the seller mentioned that it might take two weeks for the figure to arrive, which was a pretty good estimate considering that it arrived on January 20. 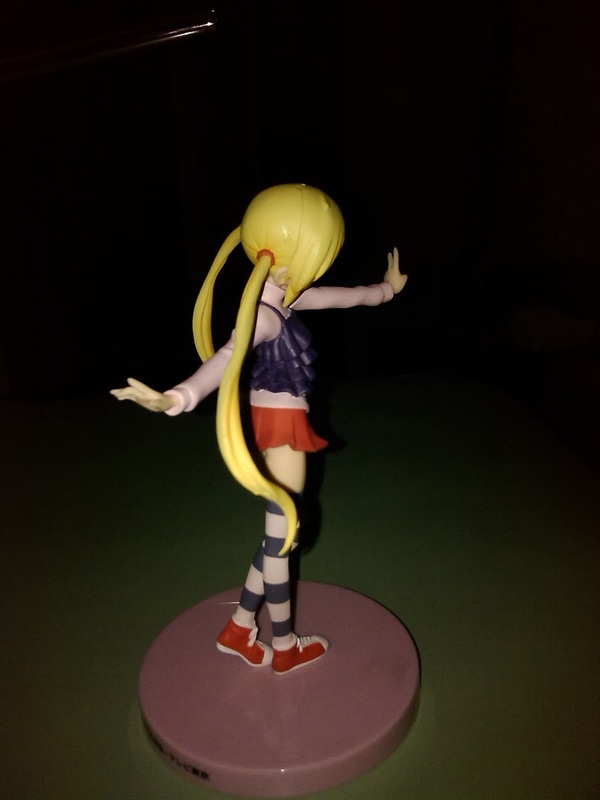 Anyway, here are some pics of the figure. She’s surprisingly rather tall considering that the character herself is only 138 centimeters in height or around 4’6” based on the source material/manga. The sculpt is pretty good, I’d say. 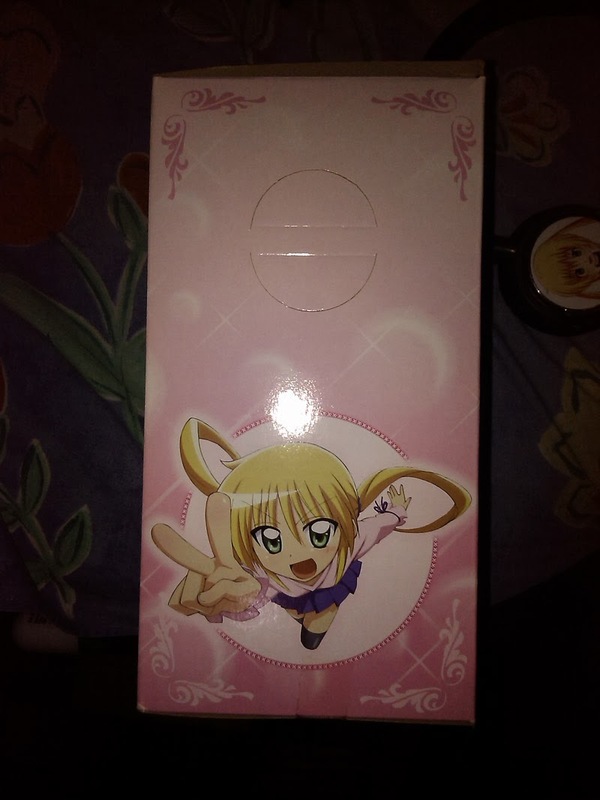 It’s very faithful to her character design from Season 2 of the anime. This is the outfit that she wears for a large portion of the anime… although she actually goes through a rather sizeable wardrobe in the manga. The face is especially done well – yup, that’s definitely Nagi. I love the bright colors of her outfit as well as her hair. 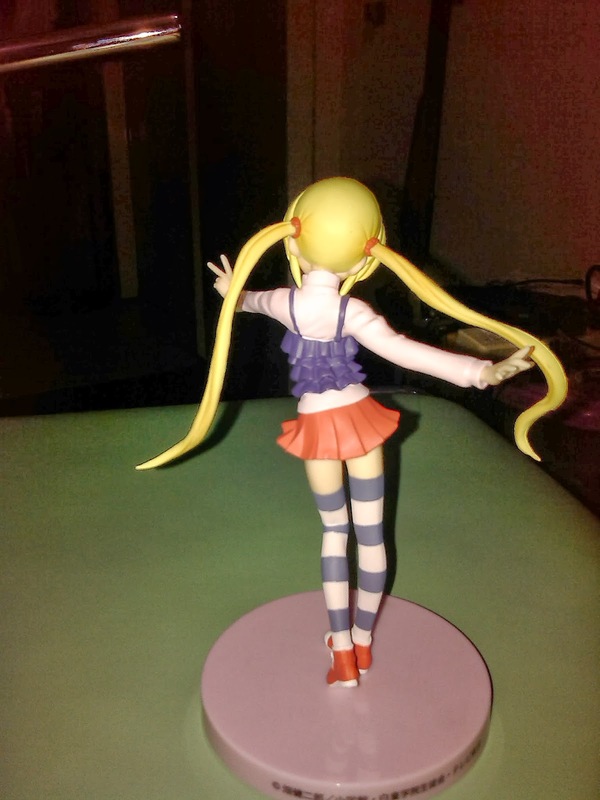 There are actually slight shades of orange highlights on her twin-tails, which was a nice extra touch. 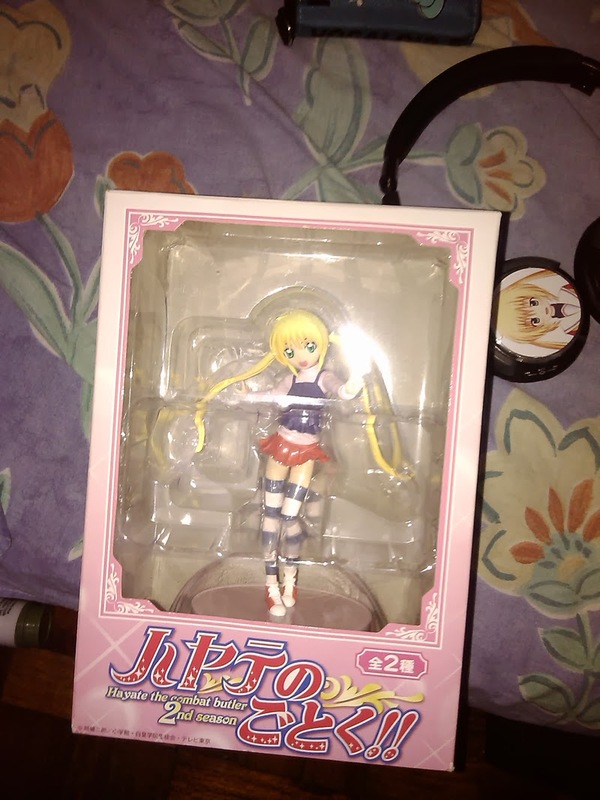 Not sure if this is a bootleg figure or not or if they even made bootlegs for a relatively unpopular figure like this one. 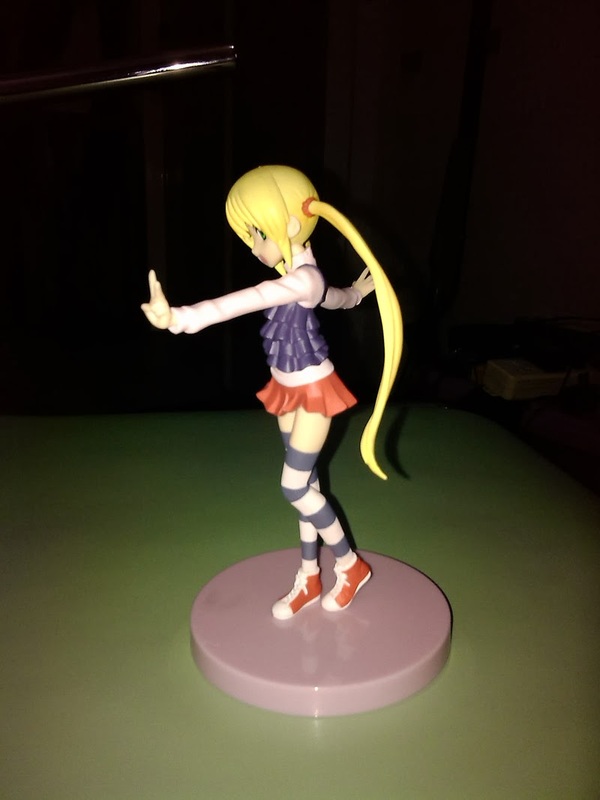 I think someone mentioned that this figure used to be sold for 1500 yen, that’s about how much the seller charged when converted into my currency. There are some streaks of imperfection on the paint job, which is especially noticeable at the top of her head, but otherwise, she’s nice and photogenic. 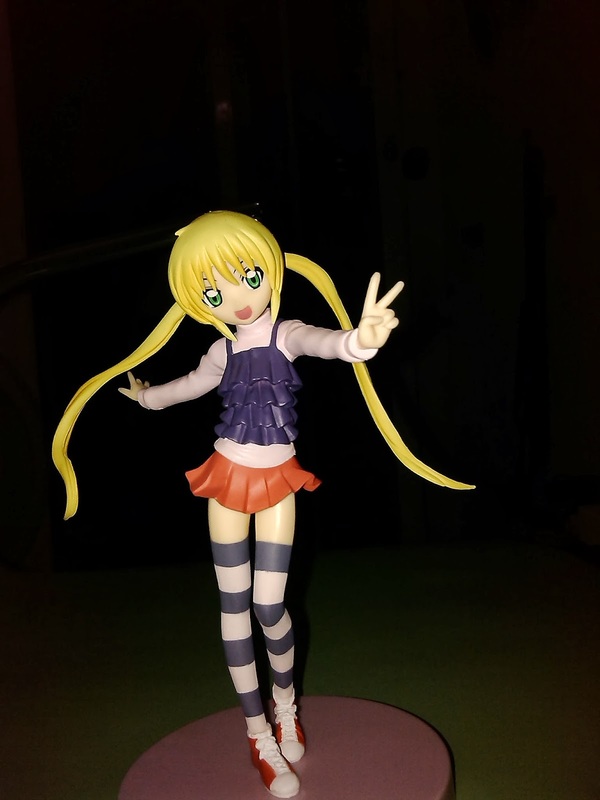 No glaring chips or markings on her twin-tails as well – which is a problem with my Lat Miku figure. I don’t think she was made according to scale. 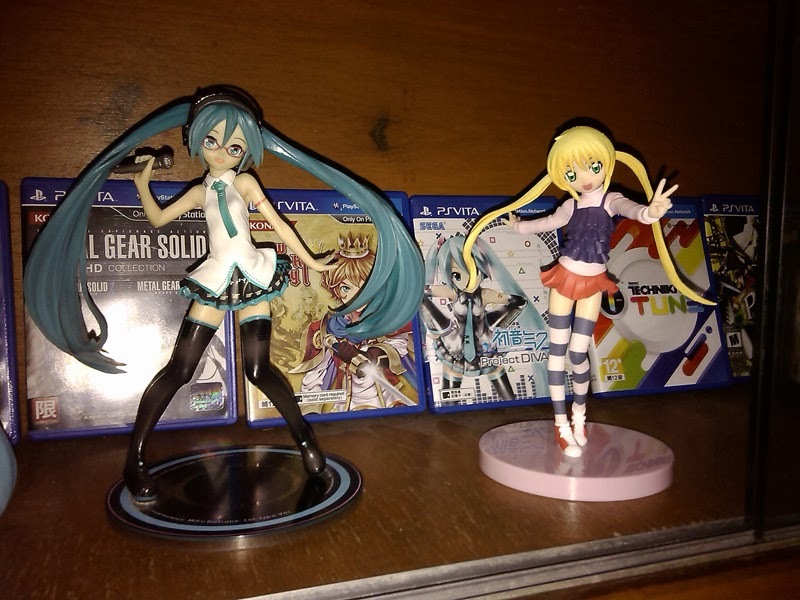 Here she is next to Lat Miku and as you can see, the height difference between them is pretty negligible. Miku is supposed to be 158 cm. or 5’2”, by the way, so she should be quite a bit taller than Nagi. Anyway, this Nagi figure is gonna look great next to nendoroid Nagi when that figure arrives sometime this week. Meanwhile, thanks to Ruka’s over-aggressive approach towards Hayate, Hamster and Hinagiku have a little girly chit-chat and decide that it’s time to end it all with Hayate and have him choose one of them for good. Chiharu overhears this conversation because the walls of the mansion’s rooms are so thin and this sets the little gears spinning in her head for her to have a little fun. Outside, little Alice… or actually, Athena, is talking with father Radiostar and it seems she has a little battery meter device that actually measures her magic power and how much she has regained. It seems that she’s been cursed into her current little girl form. Apparently, the land on which the mansion was built once belonged to the Himegami’s (Himegami was Nagi’s butler before Hayate, just in case you didn’t know), and it contains a great power that can only be drawn out by a similar device with great power – in this case, said other device is most likely Hina’s Shirousakura. 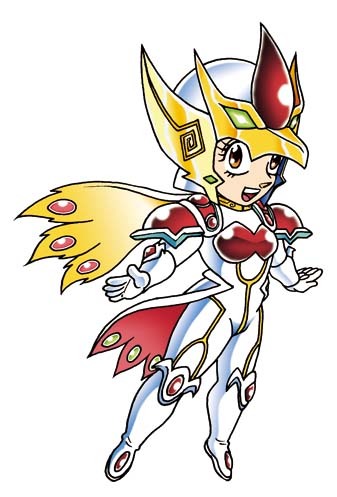 In any case, now that her “magic batteries” have been recharged, she declares that she can temporarily regain her true form and that she can’t let anyone have the garden palace for some reason - with super-sharp, determined, almost villainous eyes at that. 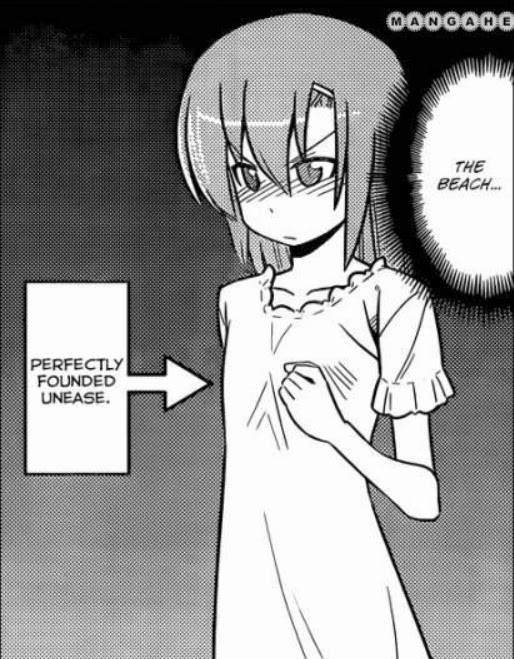 Flat chest is a status! Chiharu sees this as an opportunity to have some fun and suddenly takes Hayate by the hand and asks him to come and help her shop for a swimsuit… which totally pisses off Hina and Hamster, of course. Review: Holy effin (insert profane four-letter word of choice here)! madmac! Were you totally right about that LifeSavers theory after all? I mean, I’ve never even touched that other manga by Hata, but it seems that by all appearances, you totally nailed it… anyway, good job, man. Since the canonicity of Can’t Take My Eyes Off You is now unquestionable, this chapter reveals a few more things about the plot which allows it to tie in neatly with the last two episodes of cuties – specifically, why Athena is still in Alice form even though the three months are already up. As explained by Alice herself in this chapter, she’s been cursed by the King’s Jewel and even with her magic powers at maximum, she can only regain her true form temporarily. Nagi’s distorted version of Hayate’s story made my day like totally. Hata also drops some hints of Himegami eventually becoming involved in this story since the Violet Mansion originally belonged to his family. Hata reminds us readers here that he doesn’t drop all these plot bunnies all over the manga for nothing – in fact, it’s all coming together in this very chapter… amazing how he managed to do all that while also keeping things still light-hearted and funny. 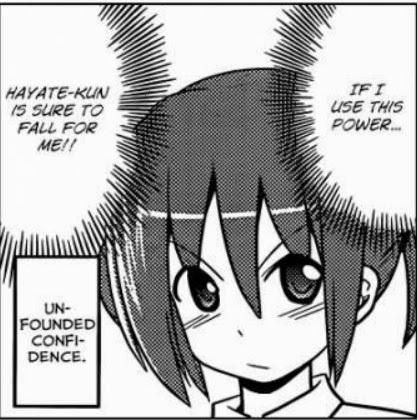 Lots of new characters rolling in here with Hisui and Housen, Himegami and now Hayate’s brother set to become relevant to the plot real soon. Chiharu being a troll and loving it. That said, this chapter was also a setup for the beach chapter that Nagi promised us at the end of the doujinshi arc and it seems we’re all set for some fun in the sun and will get to ogle the girls… and guy, in swimsuits next week. Speculation time: I have a feeling that this will be the final arc of the manga and that the timeline actually takes place before CTMEOY and Cuties with the last two eps of Cuties being the final mini-arc in this manga. Then we’ll probably get a Christmas ending chapter and then a 10 years later flash-forward. I see no "evil intent" behind Mikado's words here. Do you? Before he can give him the stone however, Mikado witnesses Hayate collecting some empty soda bottles and is quite intrigued, so he decides to observe him a bit more. Despite the biting cold of the winter night, Hayate manages to collect 592 bottles for 3 yen each – which should give him a total of 1776 yen, or closer to 2000 yen, but the collector casually flips him 1000 yen instead and tells him to feel free to come back later. Even Mikado is visibly moved by Hayate’s plight and he begins to wonder where his parents might be (this is still Christmas eve after all). 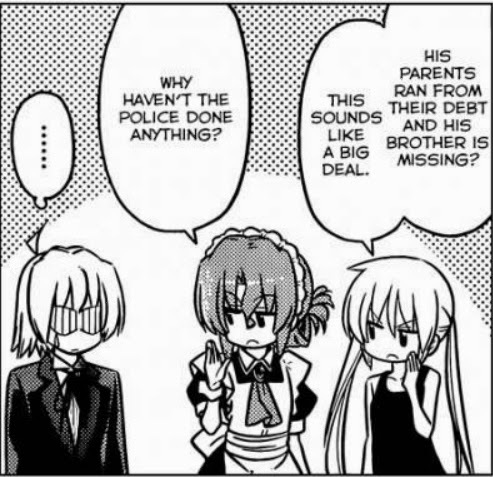 Right on cue, Hayate’s father, who is still faceless, but notably doesn’t have the “father/chichi” sign on his face for this chapter, approaches Hayate and asks him about the job and then quickly snatches away Hayate’s 1000 yen and tells him to keep at it and gather more bottles. Anyone would feel bad for this kid. Aren't we glad that he met such a kind-hearted and loving little blonde, otaku, hikkikomori, sorta tsundere mistress? Hayate forces a cheerful smile and enthusiastically tells his father that he’ll go get some more bottles right now. 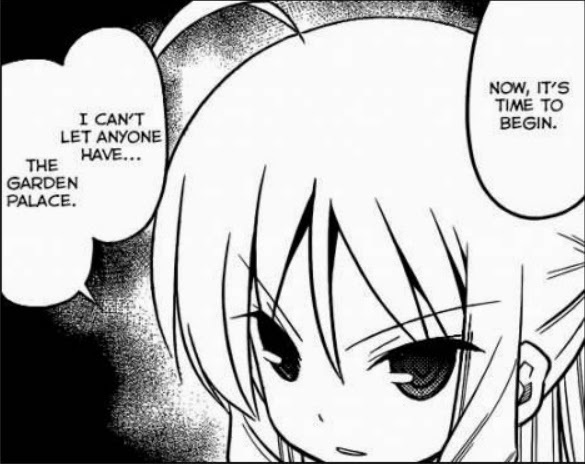 Even Mikado, the supposedly evil mastermind in this manga, is enraged by the treatment that Hayate’s father gives him – and yet, he believes that Hayate will never open the path to the Royal Garden because even that sort of treatment wasn’t enough to trigger an explosion of negative emotions. Then, in what appears to be a spontaneous act of kindness, Mikado throws the King’s Jewel at Hayate and tells him that he dropped “a piece of happiness.” He decides to give Hayate the King’s Jewel after all, but before accepting the jewel, Hayate, believing that he’s Santa Claus, asks him why he never brings presents to their house for Christmas. Mikado then says the line that we’ve all known him for since the beginning of this manga as well as the start of the season 1 anime, “That’s because your family is poor.” He then proceeds to give Hayate the words that the boy had been living by ever since, “If you want something, don’t rely on Santa. Go get it with your own power…” and so on. 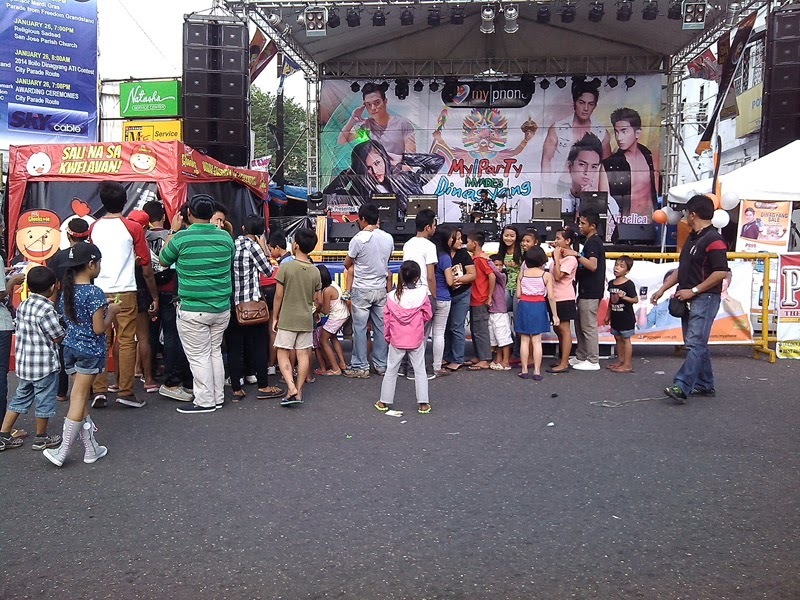 Review: Wow! Just wow! A really powerful chapter here (and it doesn’t even have Nagi in it). I didn’t care much for this flashback ever since it was introduced in the previous chapter, but reading it now has completely changed my mind. I had initially thought that it was going to be given the comedy treatment – and we had every indication of that at the beginning of this chapter, but then POW! 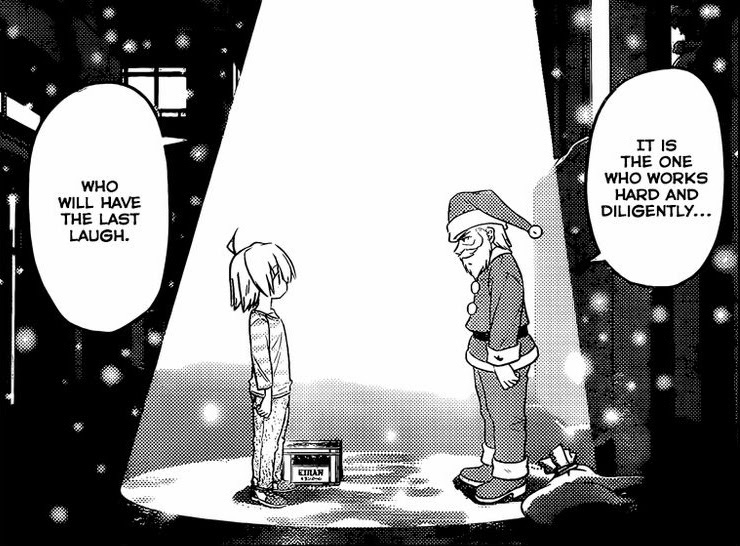 From out of nowhere, Hata-sensei presents us with this touching scene between Santa Mikado and young Hayate. 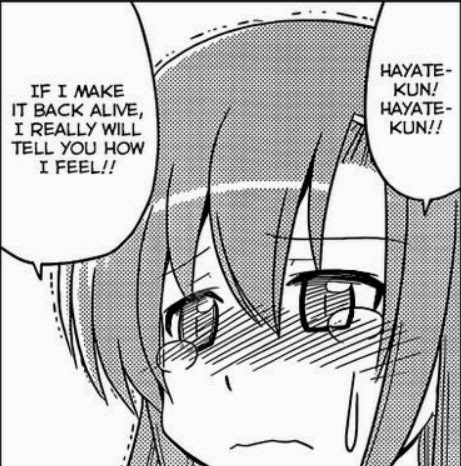 This chapter really highlights just how much misfortune Hayate has had to suffer all through his life and that this misfortune is not just something that is funny, but that is also very pitiful. As light-hearted as this manga is, when it touches upon dark themes as it did in this chapter, the author really knows how to get it just right. One thing I’ve noted before is that very little is known about the King’s Jewel backstory and thus, this gives Hata-sensei a whole lot of leeway as to filling in the details. 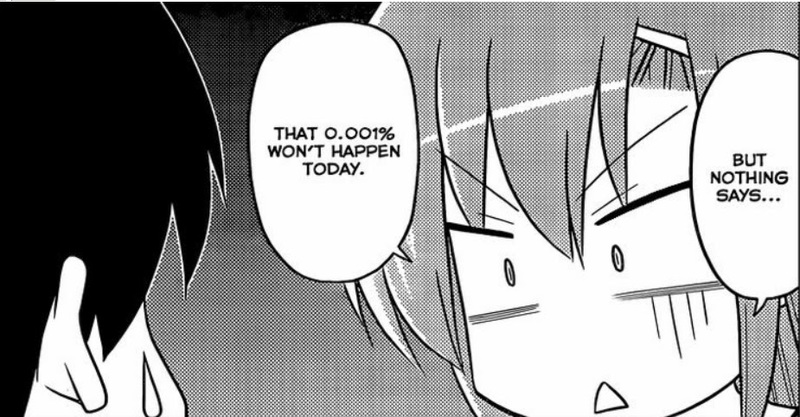 I don’t blame him for using this method of having a definite overarching plot, but lacking the fine details, as his preferred technique for writing a story as long and drawn-out as Hayate The Combat Butler has turned out to be, since I use it myself in writing original fiction. 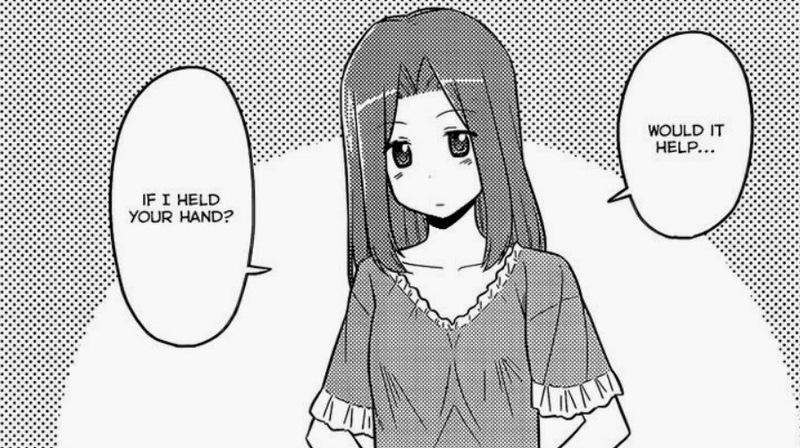 I was prepared to dismissively point out that, as good as this chapter was, Hata must have been making things up for this entire flashback chapter, but a perusal of the recent discussions in the Animesuki forums has convinced me otherwise. Here's your kind, loving and totally "unselfish" Athena over the phone, people. I don't blame her though, Mikado's response was clearly trolling. If there is one insight that I can share from this chapter, it would be that Mikado Sanzen’in does not appear to be as evil as the readers have made him out to be. 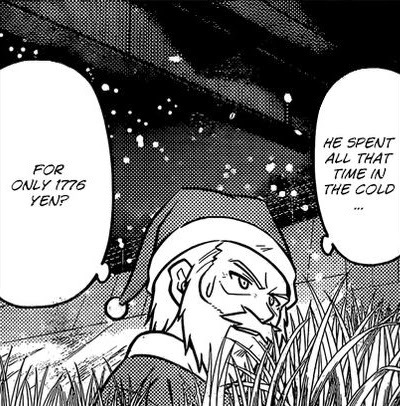 Yes, Hata does portray him with some villainous undertones every now and then, but if you think about it, he hasn’t really actively done anything that could be labeled as truly “evil.” He has some selfish motives perhaps, as does everyone else in this manga from time to time, but he certainly hasn’t done anything that would put him on the same level as Hayate’s parents, for example. While I’m on this topic, the same could be said of Hisui and Housen. It’s been shown that they want to find a candidate and have been manipulating things in the background in order to open the Royal Garden, but these things alone are not enough to convince me that they are truly “evil.” Except for Hayate’s parents (which may still be retconned in the future), no one is really purely “good” or purely “evil” in this manga – and that’s just how it should be. These lines really take on a whole new meaning in the context of this chapter. Also, I can’t help but notice that Mikado refers to the Royal Garden as “his Royal Garden,” and I’m still wondering as to what the implications of this possessive statement might be. All-in-all, I was pleasantly surprised by this chapter and I can’t wait to see the implications of this flashback on the future events of this manga. 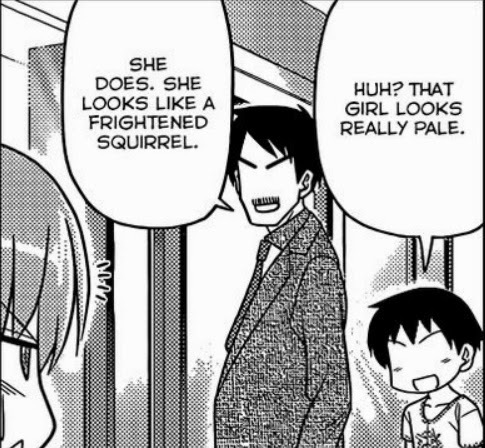 It’s amazing how context is used in this manga. 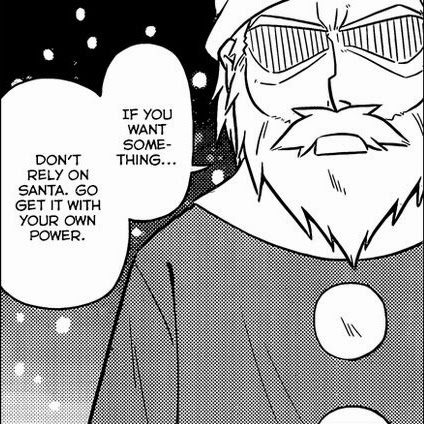 Taken out of context at the very beginning of this manga, Santa Mikado’s lines were funny, if a bit cruel. Taken in the context of this flashback chapter, those very same lines now seem kind and meaningful. At this rate, I wouldn’t be surprised if Jenny had a tragic, touching flashback story sometime in the future chapters. A New Hero Appears! Red Mask!